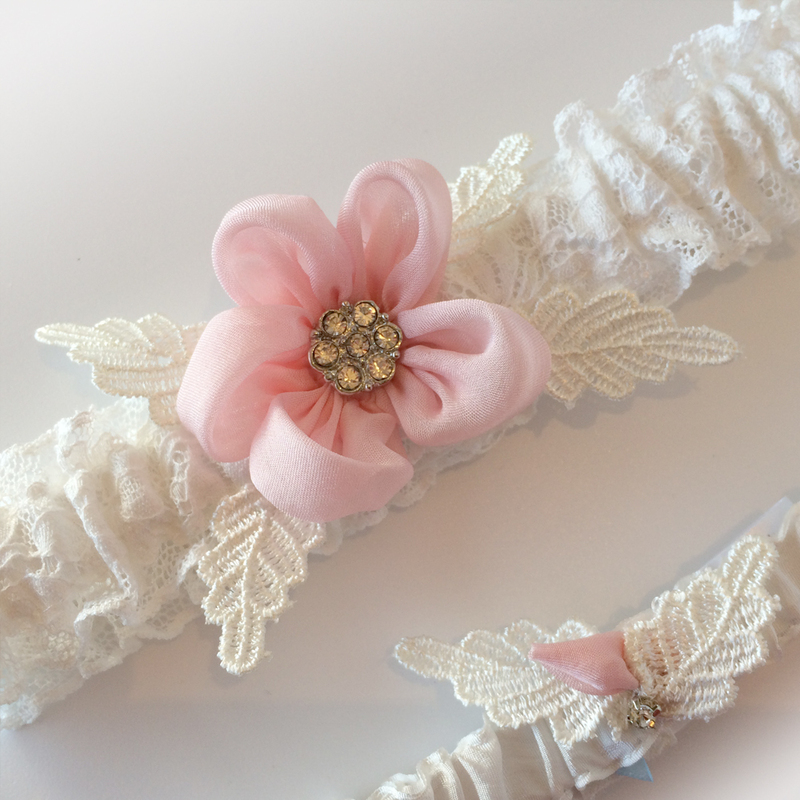 Floral pink and ivory wedding garter set… I do love making these daisy flowers and this time I’ve made the toss garter with a tiny rosebud! For the main garter I’ve used a lovely soft cotton Nottingham lace in ivory approx 3cm deep. 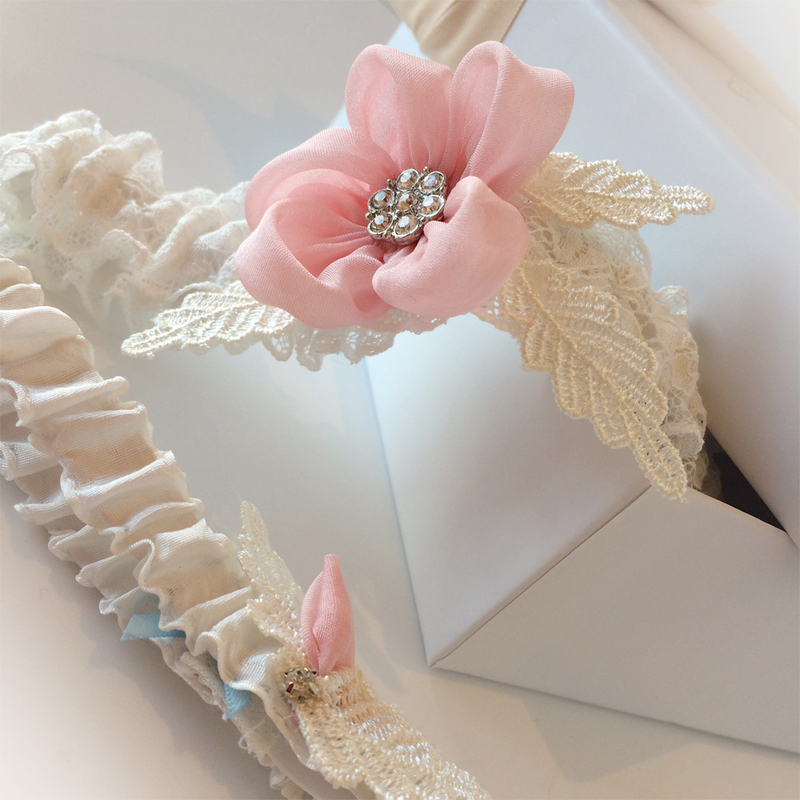 If you look closely, you will see I’ve added ivory guipure leaves, to frame the flower and highlight the little bud. 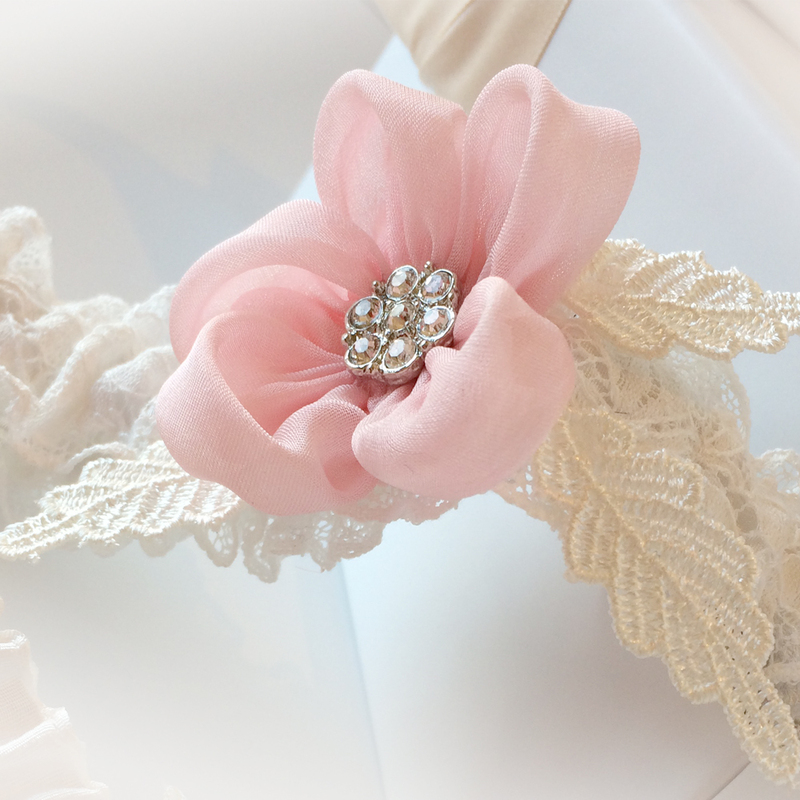 The main garter also has a dainty little crystal center. 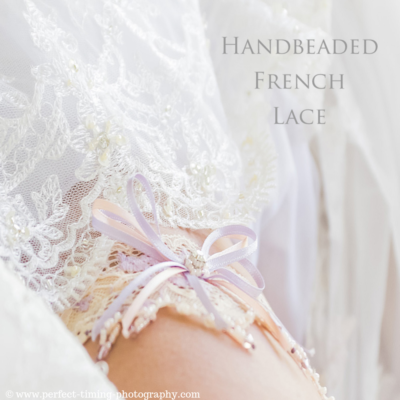 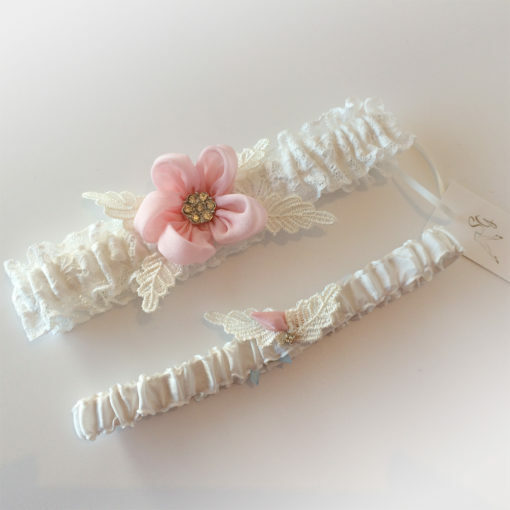 Floral pink and ivory Nottingham lace wedding garter set… I do love making these daisy flowers and this time I’ve made the toss garter with a tiny rosebud! 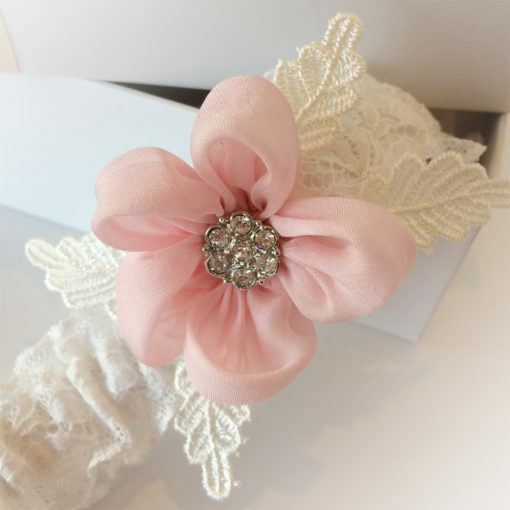 For the main garter I’ve used a lovely soft cotton Nottingham lace in ivory approx 3cm deep. If you look closely, you will see I’ve added ivory guipure leaves, to frame the flower which has a dainty little crystal center. 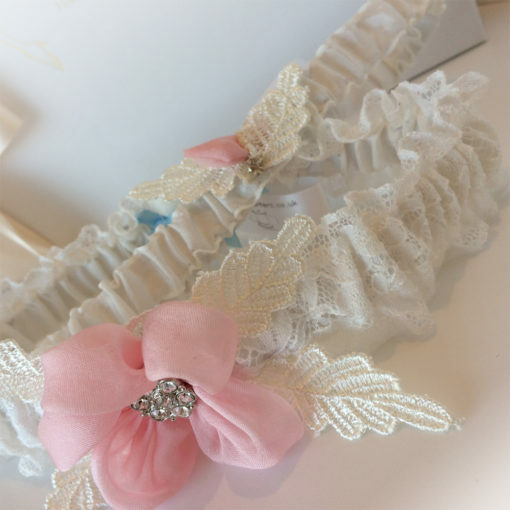 The toss garter is a pure silk 1/2″ band and and here I’ve used a guipure leaf to highlight the little flower bud which together with the main garter makes the most gorgeous set.